Last week it was in the upper 80’s here in South Carolina so I was enjoying some time on the deck petting my golden retriever. I looked down to see my phone lighting up. Most of the time it’s on silent so it can’t disturb me during work. Normally I would ignore a personal phone call during working hours. But this was different. It was one of my childhood friends. We are still close to this day. He was considering starting an online business and wanted my advice. It took him quite a while to explain multiple business models and to list the pros and cons. About 30 minutes into the call I told him to stop. Creating a successful business is about playing to your strengths and not your weaknesses. I gave him this example. My advice would be to build a full time business that doesn’t require you to be the business. Just because you’re good at something doesn’t mean you should build a business around it. Your job is to be the CEO of the business. My advice was to look at what's in demand and ride the wave. That’s building a business. Not following what your heart feels. I have lost count of the number of starving entrepreneurs I have seen over the years. It's not about doing what you love. That's deep so it might take a minute to sink in. Right now almost every brick and mortar business, startup, and digital entrepreneur needs one thing. Traffic is the lifeblood of a business. Plus, digital marketing is one of the most in demand jobs in the world. You don’t have to be in a specific location to work for anyone anywhere. And more importantly, a lot of this type of work can be done by remote workers for pennies on the dollar as long as they have a system to follow. After he thought about it, he said that model would not work for him. I’m like dude, what’s the problem? I know it works. He didn’t have the systems...and said it would be like trying to build a McDonald’s from the ground up. He didn't have the knowledge to make all the mistakes to figure out what works and what doesn’t. Plus, he didn’t have all the technical skills to run Facebook and Google ads. He’s heard some of my stories of when I was a top 100 ClickBank affiliate and how hyper-competitive it can be. That's when I hit him with a dose of reality. First, how competitive do you think it would be to run ads for the local building contractor? You don’t have to fight a massive amount of competition. Second, who makes more money? The building contractor or the local pizza joint? Which one of these guys can afford to pay you? That's when the phone went silent for about 15 seconds while the light bulbs went off. If you are sick and tired of spinning your wheels and not getting the results you deserve, click the link below and let's see if the agency model would be a good fit for you. Facebook is about to release the next wave of slaps that will make the old Google slaps look like Pee Wee Herman taking on Hulk Hogan in a WWE smackdown. It’s just not going to be pretty. I’m looking forward to them cleaning house because it will weed out some of the weaker marketers who aren’t as savvy as us. This will open up a brand-new inventory of traffic that is currently being bought up by novices who aren’t tracking ROI and just driving up click costs. But this also represents a 2 edged sword. It's a sure sign that market sophistication is going up fast. The days of creating a money making niche site in a few hours has come to an end. Now we need to create a real business while we still have time. If your homepage is just an unbranded generic squeeze page, you’ll miss a lot of the higher end buyers who don’t go around giving their real personal email address to just anybody. All too often these unbranded squeeze pages contain vague copy that ends up attracting low quality leads. Unfortunately, these unbranded and low-quality squeeze pages have a higher optin rate but a much lower lead-to-sale conversion rate. They attract the wrong kind of prospects and are typically newbies who are ready to badmouth you the minute your product doesn’t create 2 dozen rainbow colored unicorns and large sums of unmarked bills in the next 30 days. Go check the last negative review you got. It’s most likely the person who bought the cheapest thing you sell. No, I didn’t say to get rid of squeeze pages in any way, shape or form! I’m saying that we need to start creating higher-quality squeeze pages that will woo the right prospect by clearly showing them the value that we can provide in exchange for their real name and email. If you want to work with me to help grow your business, reply to this email. What I’m about to say isn’t going to help win friends and influence people, but it has to be said. I’ve lost count of how many conversations I’ve had where prospective clients spend most of the time bragging about what software they are using as if software alone is going to give them some magic power to dominate a market. Let's be 100% transparent; software and technology can help to some extent. But it's more about the messages than the way your landing page looks. It's not your fault. Everywhere you look all you see is ads promising near magical results and all you have to do is sign up for their software. Your message is far more important than the software behind it. Reply and let me know what you think. P.S. Watch the video and start rethinking your marketing strategy. Friday’s email about Amazon Ads really hit a nerve. As of now it has 526 Likes just on my fan page alone. Change is coming at a faster rate than any of us could imagine. To stay ahead of the competition we need to embrace change or risk being irrelevant like so many other businesses. Digital personalization is the next big wave in digital marketing and companies like Amazon and eBay have been using it for years. Digital personalization is about delivering targeted content and experiences in real time by instantly creating a unique experience where every page is tailored to you based on 1st and 3rd party data. Every client that we have set this up for has seen massive growth virtually overnight. In the past this type of software was only for enterprise clients, but now any digital marketer has the ability to start using digital personalization in their business. What's great is some of the software is 100% free like Google Optimize. Though the personalization feature is still in beta, it is working great for us so far. Optimizely costs more, but it is designed specifically for e-commerce stores. One option that I really like is called Right Message by Brennan Dunn. One of the fastest ways to win the marketing game is by being more relevant than your competition in the eyes of your users. In the past we had to create specific landing pages for every single keyword and custom tailor the headline, images and body copy. That's a long slow process that's prone to errors. But by using Right Message you can have one landing page that dynamically changes based on the ad that was clicked. Think about how many variants could be created on the fly. Because the user experience is tailored to every click, your quality score will go up because people are staying on the page longer. This helps lower your ad cost, increase conversions and boost your ROI. Plus, as the user goes past the landing page, the entire site can change based on the original ad that brought them to your site. A few years ago this was limited to only enterprise businesses with massive budgets and teams of data scientists who could create this level of personalization. Now smaller businesses have the ability to use it in their own sites for just a faction of what it cost just a few years ago. End users are now beginning to expect this level of customization on every site they visit. The only question is are you going to embrace this now and become one of the early adopters or wait until your competition gets a massive head start on you? 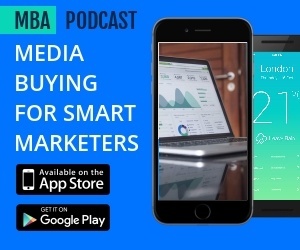 This Wednesday I’m hosting our weekly Media Buyer Association training call where I’m going to show our members how to use Right Message to create a competitive advantage with Google and Facebook ads. If you’re not member, click here to join. Charles: Hey, hey, hey! This is Charles. Hope you're having a great day or evening, when you're listening to this podcast. Now, today we've got a special guest. We've got Mr. Alex from Experiment 27. How are you doing today? Alex: Thanks for having me, Charles. Alex: It's great to be here. Charles: Good. So, dude, tell me how did you get involved in this? What's the background story of you, and how did you get to be a cold email lead generating ninja? Alex: Good to be considered a ninja. I don't know [00:00:30] if that's cultural appropriation or not. I was working at a digital agency as like a junior sales guy. We were selling mobile app development. We had these really aggressive sales targets. My goal in the first year was 750,000 in sales. I was looking at our lead flow, and we were getting about 14 inbound leads a month for our sales team of six people. So there was no way this was going to happen [00:01:00] unless I figured it out. I pitched the founder on running some marketing tests, ended up doing some cold emails to generate leads, and that year and the next year ended up beating both founders and the director of sales and like every other sales guy on the team in terms of beating our quota. I realized if it worked for our agency, it would probably work for other agencies. I pitched the founder of that agency of becoming the director of marketing, and he [00:01:30] was nice enough to allow us to have other clients. Then that turned into X27 where we help other agencies grow using cold email and some other services. Charles: Sweet. Well, I've got a question. I'm terrified; like if I send cold email, will the spam police show up and put me in jail? B, will all of a sudden people send me hate email?, and how do you make cold email effective? Alex: The answer to both of those is, if you send cold emails will they end [00:02:00] up in spam? Yes. And will people hate you? Yes, if your emails are terrible. If you look at most agent's emails, and anyone who's an agency owner knows, because you get these type of emails, how bad it can be. Typically, the email might look like, "Hey, we do HDML 5 iOS programming," and just bullet point after bullet point, no customization at all, which immediately makes you want to click spam. In order to make an email effective, [00:02:30] you need a subject line that's not spammy. I like hi from Alex or question about company. Then the body of the email has to be customized to the person. That doesn't mean writing every cold email by hand, but it at least means digging in deep enough to your customer to find out what they want specifically and then writing an email around that. For instance, for you, Charles, we're talking a little bit before this, off line, [00:03:00] about how you sell to a lot of churches, you do a lot of church marketing for nonprofits. There is, and I can even ask you that. There is a typical customer in there, right? Alex: There's a certain type of person, and they have the same needs. Let's say they run a church and it's of a certain size, or they have a certain number of things under management, and you can run through the same way that you would in a PBC target and create that type of person, and then write an email directly towards them. [00:03:30] For instance, at Experiment 27, we sell to other digital agencies, usually ones that are over a million in revenue up to like 25, 30 million in revenue. That type of customer has a director of marketing in there where they have two or three issues; they've got a CEO with two or three issues; sometimes they have a CTO who does just their text stacks, and they all have different issues, and each one of those people can have an email [00:04:00] written directly and specifically for them. That's the way to make it effective. Charles: Dude, I like that. I will tell you this, me being ... I'm going to tell you, we do the nonprofit, we're in the nonprofit niche, and I listened to a bunch of the videos Alex had, and I said, "Well, I'm going to give this a try." Just watched the You Tube videos, and you would think that nonprofits would be like the least responsive group of people on the planet. Using your stuff, we ended up getting like a 70% open rate, [00:04:30] and click rates were good, 14, 15%. Alex tells me I could do better, so I'm going to see if I can get it up to 80 and 90, but we did exactly what you said, and nobody came through the phone, nobody sued us for anything. People were thrilled and happy. Alex: Yeah, and there are laws, and you're up ... It's getting tougher to send cold emails. In Canada, it's almost fully illegal, like you can get fines and stuff, but in the US, can spam was the law that we passed in 2004 in the United States, [00:05:00] and it is what it says. You're allowed to spam. So cold email still does work in the US and a lot of countries around the world, and there's nothing really people can do in terms of legal ramifications. I haven't seen branding hurt, either, in terms of people not wanting to work with a brand because they send them a cold email. Typically, if you're in B2B, if you're a business, you're typically thinking about how you can grow your company, [00:05:30] and if somebody's sending an email where they're saying they can help you grow and it's backed up by data, and it's written to you, or at least it seems like it's written directly to you or your type of person, there's no reason you would be negative against them. The only reason you'd get things like unsubscribe, or take me off the list, or reporting as spam, is when you're sending an email to the wrong type of person, or your message just doesn't resonate at all. The easiest way that I found to avoid [00:06:00] that is to actually sit back and read the emails that you're sending, and ask yourself, "If I got this email from somebody else, what would I do?" Your gut feeling as a business owner should be enough, as long as you can disconnect yourself from what you're writing, which, sit it down for a couple days. That doesn't usually help, but as long as you can disconnect yourself, you should be able to have a pretty good gut feel of what's scammy and what's not. Charles: That makes perfect sense. Now, when you're sending these emails, is it a case of [00:06:30] I send one email and I just wait for people to flood the doors? Or do you send a series of emails, nurturing, bringing people into the ... Then getting potentially to a Dear John email. It is a one-and-done thing? Or is this a case of like everything in business, where you need to nurture those leads? Alex: For each person specifically, we'll do four emails and a cold call, is what we typically found. Normally, email number one is just a generic [00:07:00] offer, like, "Hey, found your company. Super impressed with what you've done. I'm Alex Berman with Experiment 27. We've helped agencies generate over a hundred million dollars in leads. We're different because we specifically work only with digital agencies. Would love to hop on a quick call. Would you mind if I send over a few times? Thanks, Alex." Something like that. Then second email in sequence a few days later is what I call the ideas email, which is [00:07:30] like, "Hey, Mark. Just got off the phone with the CMO at another digital agency, and they were dealing with these two issues. And it's like, issue one," I'll tell you all this in a little bit. "Issue one, we've been playing with PBC but aren't getting any conversions. The solution to that is the cost-per-click that we found with agencies is typically way higher than it should be, and the solution is sending cold emails instead of going through PBC." Then it's [00:08:00] like, number two, and it's another problem and another solution. "If those resonated, would love to hop on a quick call and see what we could do to help you with marketing. Would you mind if I sent over a few times?" Then another email in the sequence says, "Hey, I'm sure you're busy. Just hope this didn't get buried. Just bumping it up to the top," and then you have a Dear John, or the breakup email, usually the last one in the sequence. "So, hey, Mark. At this point, I'm just going to assume that marketing or improving your lead flow isn't a goal for this year. Let me know if anything changes." Charles: [00:08:30] Dude, love it. Short. And as you're telling me those, I'm like, "I'd respond to that. I'd respond to that. I'd respond to that." At the end of the day, I'll tell you, I'm like the most jaded person on the planet, just like I'm jaded. Just because I've seen it all, done it all, been there, got the battle scars, and I'm thinking, you gotta reply to that. Way better than emails I'm getting in the inbox. Alex: Because you're an agency owner. That's why they resonate. Alex: And if it's a nonprofit, you know what those one or two problems [00:09:00] are, so you're going to be able to hit those over and over again in your cold emails. Charles: It's funny with the nonprofits, the first email was, we were putting together a ... Just because I wanted to basically make an impact in that industry, we emailed them like, "Hey, take a survey, because we want to put together a ... " Really just called a performance report. We would share it with them. And we got like 500-and-some-odd nonprofits very quickly to tell me ... I mean, they laid out the problems they had, the challenges, like tech [00:09:30] challenges, what were they doing, what were they struggling with, and we immediately started emailing them back, "Hey, Bob. Noticed you're struggling with XYZ. Can we help you?" Yeah. Okay. Great. It was really interesting how many people respond to those type of things. Alex: Yeah. And because you know your niche, you knew that a quiz would probably work better, a survey would work better. Charles: Something as simple as that. Well, okay, let's say we're into this, we want to get going. How difficult is this to set up? [00:10:00] I mean, is this something I can do in a Gmail? Can I just blast it all one time out of Outlook? Or do I need special software? How does that work? Alex: Sure. When someone's spinning up a cold email campaign, I recommend not blasting anything. I wouldn't even send more than 20 emails in a batch when you're first starting out, 'cause you're going to make mistakes. Typically what I do in terms of process, it's think about who the target's going to be, then build a lead list using something like LinkedIn. [00:10:30] Let's say your target is CEO of digital agencies. You just type that into LinkedIn. You'll get a little bit of a list. Use something like email hunter, hunter.io is a free email lookup tool. Pop in a domain and it'll spit back the email addresses of anyone at that domain. Then, yeah, just use Gmail and write the first, I would even say 20, 30 emails, just by hand. The best way that I found to frame it in my mind is, imagine you met this guy at a meetup, and you're about to pitch him on your business. You have like [00:11:00] 20 seconds, a few sentences to frame your business, and frame it the way that you would frame it in an in-person conversation. After 20, 30 seconds, you'll get a good idea of what people are resonating to, especially if you write each one by hand so they're all a little different. Then you take that and put that into something like Yesware, which is what we use for mail merge, and then you scale it out to a much larger list. Charles: Sweet. Dude, I like that. So, guys, if you're thinking that you can get an Excel spreadsheet of 4,000 [00:11:30] names, drop them in Outlook and hit send, welcome to some black lists. Alex: Well, the thing is, you can do that, but that's what most people do. If you take a month and test first, get something that does have a 70% open rate, because you've tested ... Let's say you test 40 different subject lines and one has a much higher response rate, or let's say you test subject lines, one has a much higher response rate, then yeah, you'll know [00:12:00] when you send to a list of 4,000, what's going to resonate and what's not. I know when I was first starting this, I burned tens of thousands of leads. I've lost domains before when we were first spinning this up, just by being marked as spam. The way to avoid it is, yes, spending about a month doing what's hard, which is writing these emails manually until you find something that works. Charles: But the results are exponentially higher. Alex: Yeah. It's the same with ads. You wouldn't recommend somebody [00:12:30] spend $3,000 a day off the bat; you start with like five, maybe one dollar, two dollars, five dollars a day, and find something that works, and then you spin up. It's the same with email except, luckily, you're not spending money, you're just spending time. Charles: Sweet. I like that. Completely scalable. And that's the big thing, guys, and there's plenty of platforms out there: QuickMail, QuickMail.io, there's Mailshake. Tons of platforms out there that actually are great for this kind of stuff, but it's one of those things, if you've got a [00:13:00] bad email, or you've got a bad buyer profile and you just decide I'm going to hammer this thing home, sending 500 emails a day out of QuickMail or Mailshake is just a great way to get 500 less responses. Alex: Yeah. You're going to mess with your own business. Like that will hurt more than it'll help. Charles: Exactly. Exactly. And you made a huge comment I think very few people realize. When you do it wrong, there's a risk of ... And that's why you hire people like you, by the way, there's the risk of doing things [00:13:30] wrong. Like you said, how many domains ... I mean let's just say I'm Joe Blow business owner. I'm listening to the podcast. I've got 5,000 people that I've got from somewhere, I load them into insert name of thing, I mail them from my main domain, and I all of a sudden wonder why I'm blacklisted and everything else. Guys, it's just not worth it. If anything worth doing, is worth doing right. Alex: Right, and I know you're like, "Who's throwing me the softball to sell consulting? ", [00:14:00] which Experiment 27.com/consult is where I do sell consulting by the hour, but I wouldn't even recommend doing that. I would recommend, yes, sending 15, 20, 30 by yourself, seeing what the results are, and then scaling up that way. Personally, I haven't ... When I've hired a consultant, I've never regretted it, paying for an hour of somebody's time, but in terms of getting the most bang for your buck in terms of getting the most results, I found try [00:14:30] something yourself first, because you might be a savant. You might be amazing at it, then there'd be no need to hire somebody. Charles: Okay, well that leads us into the next question. Let's say that, A, I realize that this ... And I'm going to tell you, we had this conversation before. When you're using pay-per-click in a B2B world, there's a time and place for it, but it's usually, most people are putting it like, "I just don't understand why I'm not getting these seven-figure contracts from my PPC ads. [00:15:00] Doesn't every CEO want to Google my name in my town in my city and throw me a contract"? With that said, if we were to crank up today and say, "You know what? I've got an agency. I've got a business. I want to move upstream", cold email is the best way to get it going. With that said, how could we talk to you about it? What does Experiment 27 do? What does it do? [00:15:30] Who is your buyer? Alex: Sure. Our buyer is agencies over a million in revenue, people that sell advertising space, iOS development, any sort of custom web front and backend, branding, literally anyone in that digital agency space is what we specialize in. Then in terms of our process, yeah, we start in the first month with a deep dive, because we know agencies have been around for a while; especially if you're in the marketing space, you're trying a lot of different tactics. So we spend that whole first month, [00:16:00] first half of the month, learning what you've done in the past and what the results were, if there are any hidden gems in there. Then the second half of the month, building this report where we go through, what meetups should you go to? What would these cold emails look like? Who's the target customer that we're going after? Where are we going to find them? For podcasts, what sort of podcast should you be on? On and on and on, coming up with a detailed marketing plan, step-by-step plan that could be six months, could be a year, and basically giving agencies everything they need [00:16:30] to improve their marketing on their own. Then from there, we have a done-for-you service, as well, where we're sending cold emails on their behalf, managing podcast bookings. If they have blog content they want to write, helping with that, helping with some SCO stuff. Whatever it takes with an ROI-driven approach. The main reason I started X27 was because I was spending a bunch of our marketing budget at the agency I was working with, and getting no results. We'd get clicks, we'd get leads, [00:17:00] but all that really matters is how many of these contracts you're closing at the end of the day. That's all we really care about, as well. We'll use calls booked and meetings booked to track our progress, but if after like six, seven months you don't have like a six-figure close, there's something seriously wrong with the process, and that's the type of stuff that we focus on. Charles: Dude, that's amazing. A, I like that, because you have nailed it. I think so many people, they hire an agency, and they're like push the buttons, dial [00:17:30] the knobs, I want to sit in the easy chair and wolf down some Doritos. I expect to have a couple Fortune 500s knocking on my door. Alex: Well, we can get the Fortune 500s knocking on your door, but, yeah, the reason why we try to own the whole process is because a lot of these agencies, and I think you might be in this situation, as well, the founder's doing most of the sales. Alex: When the founder's doing the sales, the founder's also probably managing production, which is a million things they could be doing. Alex: So part of what we do is accountability, it's [00:18:00] sometimes we'll have our sales guys on the calls with the founder, we'll be building up these scripts so that when the founder does decide to bring on two or three sales guys internally, they have a place to go, so it doesn't take you six months to ramp up your new sales guys. Charles: Dude, that's huge, and that's a big deal that you're saying we will create a plan, an action roadmap, however you want to slice it and however you want to dice it, guys, there's a roadmap that says, "We need to do X, Y, and Z." That's a big deal, because most agencies just start ... [00:18:30] Let's go spend some money. The reality is spending money on the wrong resource or allocating ... It's kinda like baking a cake, the right ingredients at the wrong time will equal a disaster, and you guys literally lay out that recipe for baking the cake, so that they're doing the right things at the right time to get the end result. Alex: Right, but just like in any marketing, so in month one, we'll lay out this plan, but there's also a testing process in there. So it's like a lot of the email scripts [00:19:00] that we write in this initial review, they might not work when we try it for that specific business, and that's why we're constantly iterating on the scripts. Like we were talking about, Charles showed me his cold emails before the 70% open rate, and if I saw that, the first thing I would say is, "How do we get that up to 90%?" Let's test new subject lines. If we do get it up to 90%, and there's not ... Your response rates I think were like 15, 20%, which is pretty good, but if they're not like 25%, there's more that we can push; there's more that [00:19:30] we can change in the body of this email to help it resonate. It's constantly going back and assuming that you're terrible at your job, and rewriting with that assumption in mind. Charles: Sweet. Well, guys, A, now let's just say that I am an agency owner. I'm not ready to basically commit to a roadmap, I've just got some questions. How else can I get access to you? Alex: The easiest way to get me to respond to anything is to go to [00:20:00] b2bsalestraining.org and leave a comment on one of these You Tube videos. B2bsalestraining.org. Basically I've taken what should have been in a paid course, and I've just been cranking out these super detailed You Tube videos on how to send cold emails, how to sell the exact email scripts we're using, screen shares of the tools we're using, stuff like that, and that's all on b2bsalestraining.org. Leave a comment there and I'll follow up. Charles: Well, guys, I hope you enjoyed the podcast. Like it, rate it, share it. Go to Experiment 27. I'm going to have a list of all the URLs [00:20:30] that we talked about. Head over there. Subscribe to Alex's channel, You Tube channel, watch it constantly. Tons of content. Head over there, subscribe, opt in, join the list, get on his list, and get educated. So, guys, this is Charles. Hope you enjoyed it. Alex, anything you want to say before I wrap this up? Alex: No. Have a great day. Charles: Dude. Guys, have a good one, and I'll talk to you later. Get 24/7 access to an ever-expanding library of on-demand training to show you how to grow your business with paid advertising. Most people only use the most basic features in Google Ads and wonder why their ROI is sinking faster than the Titanic. Google has made it down right simple to create ads these days. Click a few buttons and Google will take your money and BOOOOM your ads are up and running. Which is fine if you are in a market that's not saturated with cutthroat competition with crazy high CPC’s. I’m sure every niche like kitty litter recycling could be a gold mine with very little competition. For the rest of us we have to use every trick in the book to get a higher CTR, lower CPC, higher quality scores and more conversions. That's what we are going to be talking about over the next few days. I’m going to show you some crazy settings in Google that when combined are like strapping on a jet engine to your car...except without the crash landing. First, I want to warn you. What you are going to learn over the next few days will give you a massive advantage over your competition. If your funnel is not converting, then getting more traffic isn't the answer. But most people can’t get enough traffic to even test their funnels. After you learn these Google power user features, you’ll have the chops to enter into the most competitive marketing environment with confidence. Hosted by Demand Gen Report in sunny Scottsdale, Arizona, B2B Marketing Exchange promises insights into new ways to develop more visual content and extend the life of existing content so you can create on-demand experiences and allow buyers to self-navigate through their journeys. Sessions focus on both audience-centric and ROI-centric strategies, and speakers this year include Phyllis Davidson of SiriusDecisions; Ericka McCoy of OpenText, and Katie Thornton of Datto, Inc. This is The Gathering’s fifth year, and it never fails to bring some of the world’s biggest and best brands to the table to discuss what’s important in marketing and what will be important in marketing. This conference is for brand advocates and those who appreciate branding on a whole new level. High Five is a three-day creative and marketing conference in Raleigh, North Carolina, that past attendees have considered to be the right blend of entertainment, networking, and fun. The event explores integrated marketing strategy, creative collaboration, content marketing, brand strategy, and more. Speakers this year include Aaron Draplin of Draplin Design Co., Amanda Valentine from Project Runway, and best-selling author Jackie Huba. The largest conversion conference in North America, Traffic & Conversion Summit offers insights on new traffic channels, conversion breakthroughs, selling models, live video, content marketing, and even podcast launch strategies. Speakers to see include DigitalMarketer co-founder and CEO Ryan Deiss; AdHawk CEO Todd Saunders; and LinkedSelling CEO Josh Turner. As its name might suggest, Baby Bathwater is unlike other networking events. In fact, networking and self-serving selling are highly discouraged here. What do attendees get out of it? Thoroughly vetted company, a breadth of speakers and content, the freedom to attend whichever events they please, and apparently incredible food. Attendees have described the event and its people as no-BS, genuinely helpful, and passionate about changing the world. This year’s speakers include Life is Good co-founder Bert Jacobs; The Buyer Group founder Lisa Buyer; and Mixergy founder Andrew Warner. With 100 sessions and 2,000 attendees, Midwest Digital Marketing Conference — the largest digital marketing event in the Midwest — offers a variety of speakers and forward-thinking sessions. Speakers include leaders from Twitter, Refinery29, and Venngage. CIMC is jam-packed with speakers from noted companies and brands such as Facebook, IBM, Visa, Buzzfeed, and Twitter, all ready to discuss the next best thing for marketing, social media, and digital. Last year this event sold out a month beforehand, so make sure you don’t dawdle and book your spot ASAP. The CMO Club was founded in 2007 by marketing executive Pete Krainik and now has more than 850 members around the world. While the CMO Club hosts private events, it promotes an environment of candor, openness, and collaboration to give senior marketing executives the chance to learn from and network with fellow marketing leaders, share thoughts, and develop enduring relationships within a well-vetted group. I’ve recommended quite a few CMOs to this group, and they’ve greatly appreciated the results that have come from it. Marketing technologists, creative technologists, growth hackers, data scientists, and digital strategists: This event is for you. MarTech combines leaders and insights from marketing, technology, and management to “cross-pollinate” the best ideas. The event aims to help attendees craft remarkable customer experiences, acquire and implement effective marketing technology stacks, and rethink strategy enabled by marketing technology innovations. Some of the world’s most progressive marketing leaders come together at these closed-door/no-press forums to share their stories and build relationships. Many strategic partnerships have been launched at these powerful gatherings, which enable an impressive community of CMOs and marketing leaders to elevate their personal and professional influence while establishing long-lasting relationships that have fueled both business and career growth. Content Marketing Conference brings together attendees from a range of content backgrounds, from decision makers in the C-suite and content managers to individual contributors. Sessions cover the breadth of the content marketing, planning, and distribution process as a whole, including optimization algorithm updates, conversion rate hacks, case studies on performance metrics, and even a track specific to using comedy in content marketing. Geared toward marketing leadership, this conference offers three days of expert keynote speakers, including executives from Slack, HSBC, Deloitte, IBM, and Cisco. Workshops and learning sessions include building your MarTech stack, analytics, content strategy and ROI, sales and marketing alignment, digital strategy, and customer experience. If experiential marketing sounds exciting, different, and worth your while, then this conference will probably be one you’ll want to attend. With over 80 sessions, 1,500 marketers, and more than 100 possible partners, this event will be jam-packed with opportunities to learn, experiment, and network to your heart’s content. Incite Group will be hosting its Brand Marketing Summit in San Francisco this May. This conference is designed for in-house marketers looking to discuss personalization, content and storytelling, social media marketing, and customer insights. CMOs from Levi Strauss & Co, National Geographic, Farmers Insurance, and GE Digital are all confirmed to join 2018’s discussion.